1. A bamboo wine rack that'll make your cheap selections look like they were hand selected from an Italian vineyard. 2. A set of hammered stainless steel silverware so you can put meaning to *fine dining* — yes, Seamless definitely counts. 3. A trio of stoneware vases for putting something on your table other than your pizza box (which, to be fair, is just as beautiful). 4. A metal, modern desk lamp, because you'll want to *shed a light* on your excellent taste in office accessories — as long as it's on a budget. Plus, this one is Energy-Star-rated and only uses only 5-Watts of electricity! 5. A duo of wall vases that'll say "I'm sophisticated enough to keep plants alive," even if they're fake. 6. A 16-piece stoneware dinnerware set so your takeout can suddenly earn a seal of approval from Martha Stewart (assuming you somehow show her). The set includes four dinner plates, four salad plates, four mugs, and four bowls — and they're dishwasher- and microwave-safe! 7. A silky pillow for updating the old couch you've had since college — now you have a whole new *soft side* for it. It comes with one poly-fiber filled insert and one pillow cover! 8. A stainless-steel pasta maker, because your kitchen will immediately look more sophisticated, not to mention all the spaghetti you can now eat. 9. A personalized bamboo cutting board that'll spruce up the kitchen faster than if you actually cooked fancy meals. You have three lines that you can personalize! First, enter your initial. Then there are two lines of bottom text that you can fill out (like a nickname and a date)! 10. A series of copper peel and stick wall decor so you look like an artiste when really you just know how to use stickers. 11. 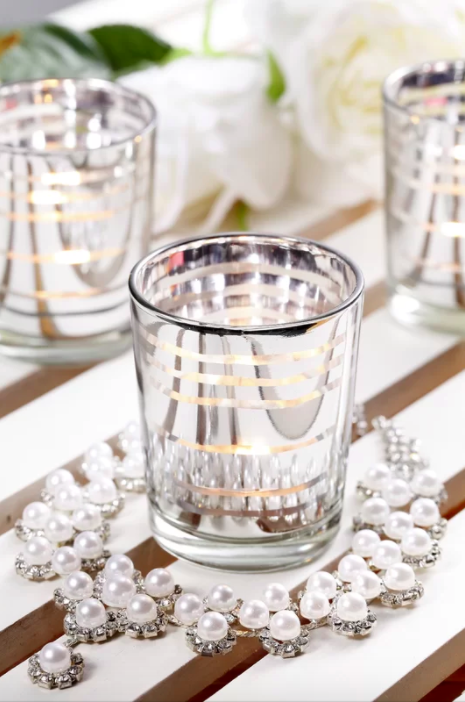 A set of glass candle votives for *setting the mood* — to save on electricity. 12. A geometric-patterned table runner, because the table you've owned since college could use a little TLC (or just something to cover it up). 13. A trio of rounded mirrors that'll reflect your fantastic taste (but never reveal its price tag). 14. A sleek wooden end table so you can upgrade your living room without taking out a small loan. Not to mention it was made with 95%-100% recycled materials! 15. A plush chenille bath rug for spoiling your little piggies every day without an expensive trip to the spa. 16. A fabric shower curtain, because there's nothing more luxurious than a hot shower and your bathroom should show it. 17. A thick throw blanket with geometric patterns that'll convince you there's nothing more *rich* than laying on the couch all day (but you were already well aware of this). 18. A four-piece stainless steel mixing bowl set so you look like Ina Garten while preparing your instant brownies. 19. A glass mason jar with LED micro lights for ~brightening~ the room without dimming your bank account. 20. A decorative holder, because sometimes you could use a *hand* with styling a room. Its bottom is lined with a non scratch protective cover! 21. A set of 100% cotton napkins that'll look so much better than your paper towels. 22. A marble box so you can fashionably declutter your workspace (or just hide things you don't want to look at, a.k.a. bills). Promising review: "This is a lovely marble box with beautiful markings. 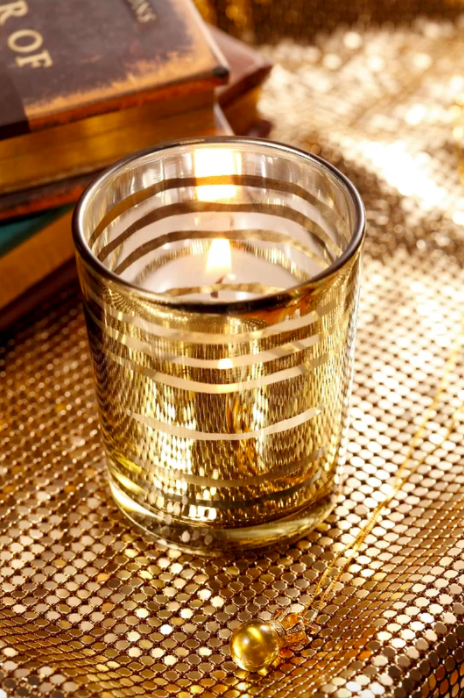 It's the perfect size to hold matches, jewelry, or other small items for safe keeping. An added plus: the lid fits snugly." —E.B. 23. A couple of non-stick stainless steel egg rings for both impressing your friends with your overnight cooking abilities and polished kitchenware. 24. A 12" chic clock, because time will stand still as your guests try to figure out how you can suddenly afford to decorate so well. 25. A cosmetic display organizer that'll show off your favorite makeup, otherwise known as where all your money goes.